Jane Austen’s original draft of this book was written in an epistolary form. She wrote the manuscript around 1795, aged 19 years old, and it was going to be called Elinor and Marianne after the two sisters who are the main characters. Elinor represents sense and Marianne sensibility. 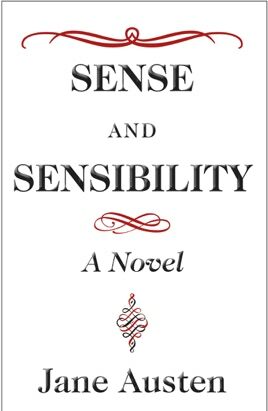 Sense and Sensibility was eventually published in 1811. 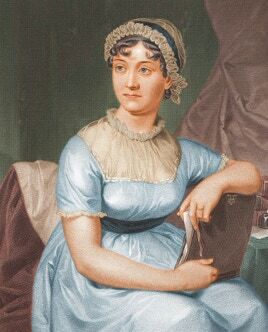 Although it was Austen’s first published work, she used the pseudonym “A Lady”. The book is the story of Elinor’s and Marianne’s romantic life. On the death of their father, Henry Dashwood, the two sisters’ comfortable middle-class existence is threatened. Although it would seem that Elinor’s and Marianne’s chances of good marriages are doomed, they find that attractive and eligible men are drawn to them and they both eventually find happiness.